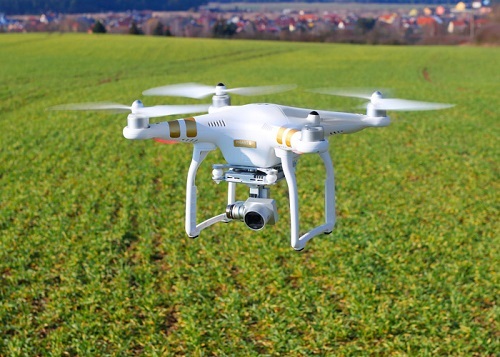 Unmanned Aircraft Systems (UAS) are a technology creating new and exciting opportunities in education with a broad impact to many careers including agriculture. Here at the Ag Center we have invested in a Phantom 3 outfitted with a 4K RGB (red, green, blue) camera as well as NDVI (normalized differential vegetative index) camera. The RGB camera takes the typical pictures that we see with our eyes. The NDVI camera takes in-fared wavelengths and uses them to take pictures that analyze the crop canopy. Coupled with software that allows the remote pilot in command to upload a flight pattern as well as picture points into the drone, field maps are developed. These maps can then be analyzed in conjunction with soil test results, yield maps, and weather data to solve problem spots in your field. If you’re interested in learning more about drones and the opportunities that they present, please contact Hannah Barrett via email hbarrett@clcmn.edu. There are also workshops available that will provide an introduction to UAS and geospatial technology and the tools to incorporate this technology into your farm. Come learn about this exciting technology and get a hands on experience in the maintenance and operation of UAS. Then transform the digital data collected by UAS into usable industry products. Registration can be completed at www.northlandaerospace.com/dronetech.